In 2003, Pennsylvania repealed its mandatory helmet law. This has affected the rights of motorcycle riders in the state both positively and negatively, in ways of which they might not be fully aware. For example, did you know that when bikers are involved in motorcycle accidents that they did not cause, they may not be able to recover full compensation for their head injuries if they weren’t wearing a helmet - even if they were following the law? If you or a member of your family suffered a head or brain injury in a motorcycle accident while legally not wearing a helmet, then there is a good chance that you are aware of this fact and are looking to protect your rights. You’ve come to the right place. The personal injury attorneys of the Foley Law Firm can help to ensure that your rights are properly and aggressively asserted and that you are able to obtain every cent to which you are entitled under the law. We are fully versed in the laws impacting cases involving motorcycle accidents and helmets, and our Scranton, PA lawyers will work tirelessly to present the strongest case possible on your behalf. First, it should be noted that when Pennsylvania repealed its mandatory helmet law in 2003, it did not repeal it unconditionally. There are still many people who must wear a helmet when riding a motorcycle, including anyone under the age of 21 and those who are not experienced bikers. Of course, any biker who chooses to wear a helmet may do so, which is why the law regarding liability in motorcycle accidents becomes somewhat complicated. A person aged 21 or older who has had a license to operate a motorcycle for at least two years. A person aged 21 or older who has completed a motorcycle rider safety course approved by the Pennsylvania Department of Transportation or the Motorcycle Safety Foundation. The operator or occupant of a three-wheeled motorcycle equipped with an enclosed cab. A person aged 21 or older who is the passenger of a person who can legally operate a motorcycle without a helmet. Pennsylvania is a “comparative negligence” state, meaning that if the plaintiff (the party filing the personal injury lawsuit) is found to be partly at fault for his or her injuries, then his or her damages will be reduced by the percentage to which the court determines he or she was at fault. In a case in which a motorcyclist suffered head injuries because he or she chose not to wear a helmet, even if that choice was perfectly lawful, and even if he or she did not contribute in any other way to the accident, the court may determine that he or she was to some degree liable for his or her injuries. As plaintiff’s lawyers, our role is to make sure that the rights of injured bikers are protected, and that they are not deprived of the compensation to which they are entitled simply because they were exercising their lawful rights. To do this, we collect the most compelling evidence possible to demonstrate the liability of the defendant, using all of the resources at our disposal to show the egregiousness of the negligence on his or her part. 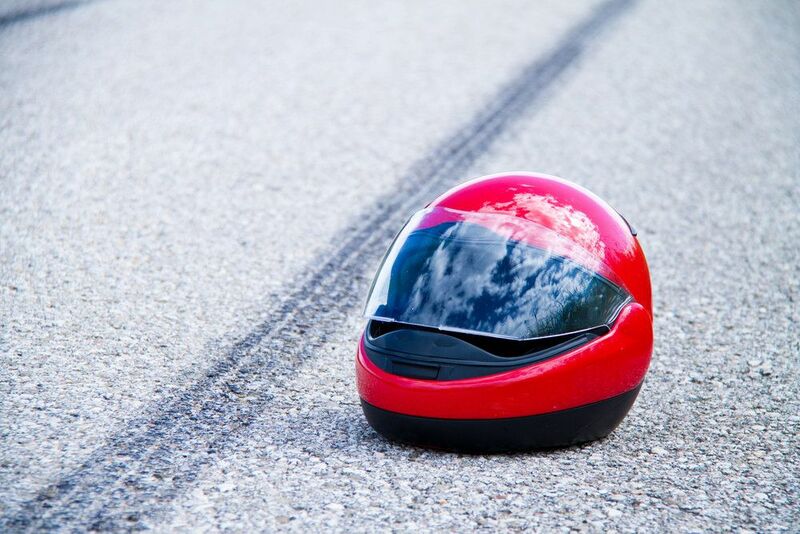 Of course, helmet laws only come into play when injuries involving the head, neck, or spine result from an accident. Leg injuries, for example, are generally not affected by helmet laws. To arrange for an evaluation of your motorcycle accident case, please contact the Foley Law Firm today.